I know what you are thinking. Why the heck is Angela taking the time to review Chipotle? Because they finally added a vegan alternative to the meat in their burritos and this is exciting stuff! Why so exciting? Because Chipotle is nationwide and this means more vegan options for people across the nation. Oh, and did I mention it is my favorite tofu in the world?! Hodo Soy out of northern California is known for its artisan, non-GMO tofu that has been praised by chefs for its incredible flavor and texture. Yes, I know you could go to Chipotle and get a bean and rice burrito before, but now you get tofu too! The only complaint I have about the Sofritas, as they call them, is the proportion of ingredients. As you likely know, first you choose white or brown rice and they load a massive scoop of rice in your bowl or burrito. 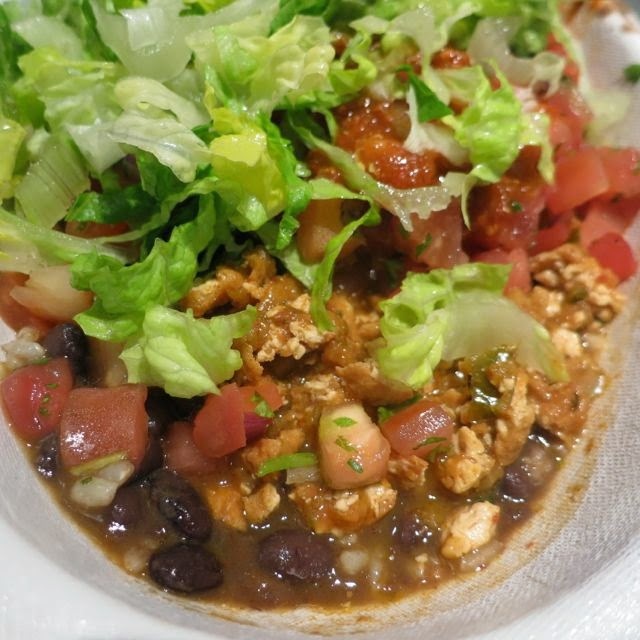 So ask them to add just a little bit of rice, then add your choice of pinto or black beans and the sofritas tofu. Top it with lettuce, salsa, and guacamole. In the end, even though they season the tofu with chipotle chilis, roasted poblanos, and a blend of aromatic spices, the tofu is hard to taste when buried in all the rice and beans. 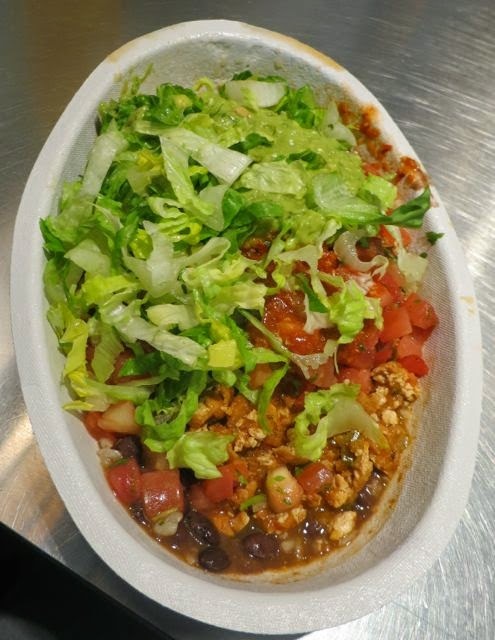 In the future, I hope they'll offer a better balanced bowl with just a little rice and equal amounts of beans and sofritas for deliciously flavored burrito. For now, I'll just have to deal with the massive amounts of everything they dump in my bowl and eat it over three days. Hey, for like $6, you won't get a better burrito in the middle of nowhere. This option is slowly being added to every menu across the country. 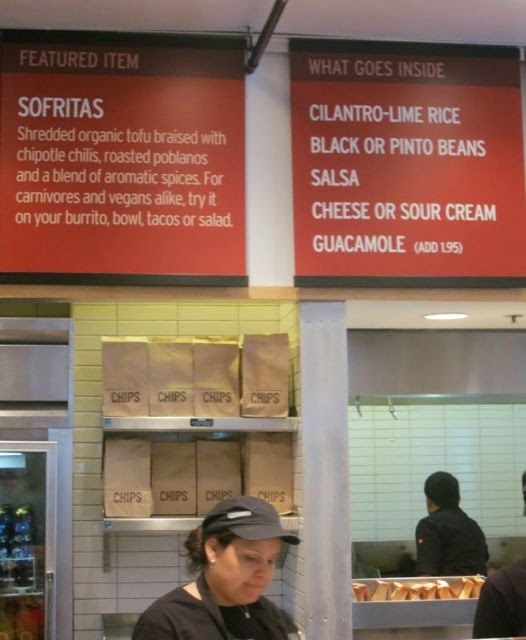 To check the sofritas are being offered in your state, go here. Hail vegan burritos everywhere! It seems to me the tofu is crumbled and deep fried to make it like ground beef. Weird. And I agree it gets lost in all the other stuff. I don't think they deep-fry it -- at least it doesn't taste deep-fried.